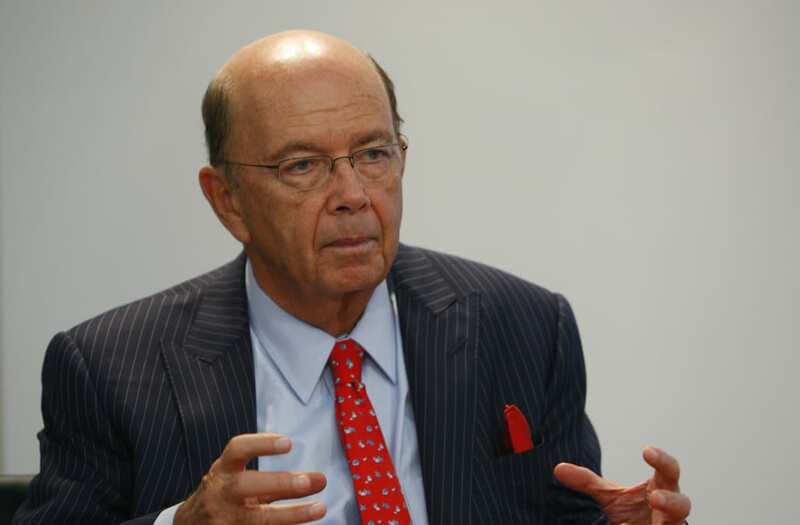 Wilbur Ross, 79-year-old American investor specializing in distressed assets, has been named commerce secretary in Donald Trump's new administration. Ross was previously part of the Trump campaign's economic team (as senior advisor on trade) and contributed to Trump's 100-day action plan. The billionaire investor was one of Trump's early supporters and has known the president-elect for decades, famously helping Trump avoid bankruptcy in the 1980s. He has supported Trump's hostile stance against free trade agreements like NAFTA while welcoming the proposal to drastically cut taxes on corporations which, he believes, will help stimulate the American economy. Ross, famously known as the "King of Bankruptcy," is a big fan of deregulation and has been accused of being anti-worker for his business dealings. On election day, he claimed a Hillary Clinton presidency would essentially be a "third term of Obama" and push the US into a recession. With a net worth of $2.9 Billion, Ross currently ranks 232nd on 2016's Forbes 400 list. He began his career at Rothschild, spending the next twenty five years working on bankruptcy and restructuring before going on to found WL Ross & Co in 2000. He holds a bachelor's degree from Yale University and a MBA from Harvard University.